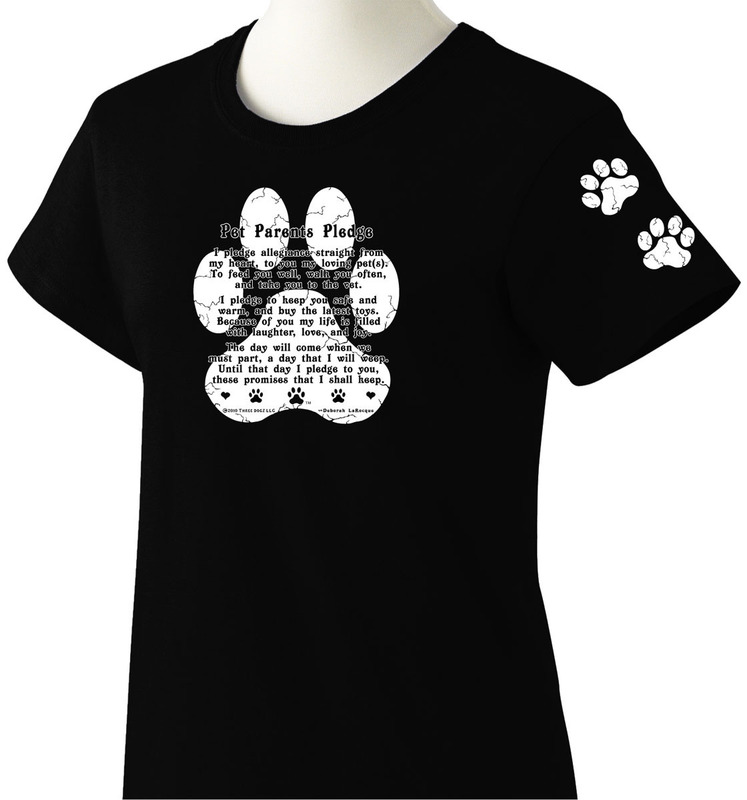 This large and loving Paw Print tells all...that deep down in their heart, they are definitely a dog lover! The Pet Parents Pledge describes their heartfelt promise to their dog(s) that in return for their love and devotion they pledge to take good care of them each and every day. 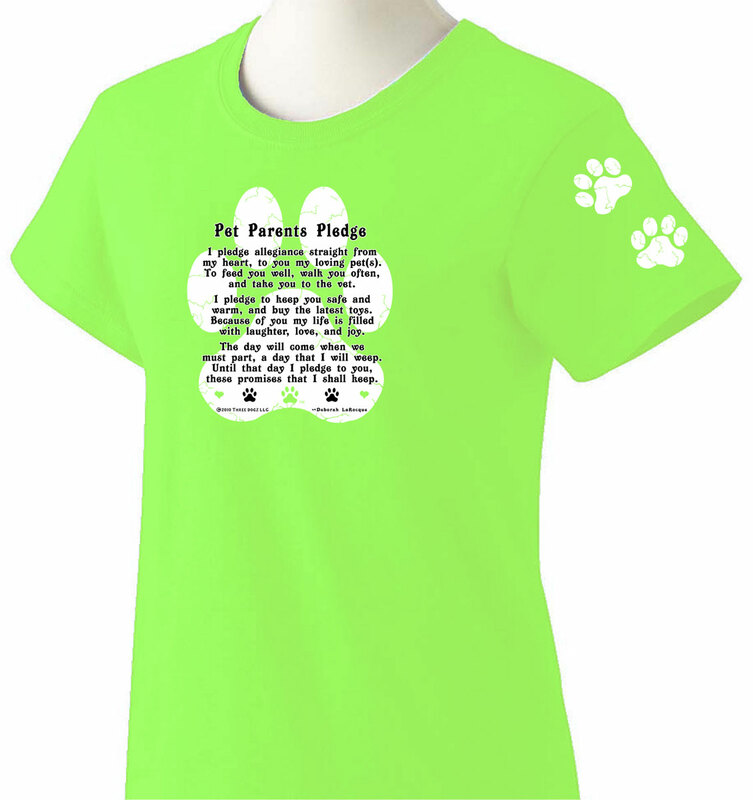 Our Pet Parents Pledge/Spiritwear shirts are perfect for grade school through high school, to college students, alumni, faculty and pro sports team dog lovers! Wear ‘em proud on game days, spirit week, and color days! Great for Grandma and Grandpa, too! Available in 67 school color combinations. Order your favorite school/team colors today! Click here to view our coordinating "Pet Parents Pledge" shirt for your "furry kid(s)". You may also like our coordinating "Pet Parents Pledge" decal. Perfect for bedroom windows, mirrors and school lockers. And don't forget to complement your shirt with one of our Paw Print Rhinestone Necklaces.